There’s a special feeling that comes when someone saves a place for you. A spot at the table. A seat for the show. A place in their hearts. Imagine what it would be like if an entire town saved a place just for you. First, with their warmth, their hospitality and their absolute acceptance of you as part of the “family”. 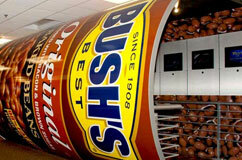 And second, by preserving a heritage . . . a breathtaking natural beauty . . . that is hard to find these days. Town of Dandridge shared a post. Great leadership, great training and the best firefighting experience Tennessee has to offer can be found right here in Dandridge. We have all the amenities necessary to call Dandridge Fire, home. Our living quarters offers the following: living room, dining room, kitchen, 4 full baths, 2 half baths, 4 separate bunk rooms, officer row and radio room. The station is outfitted with a exercise room, HD TV, cable and Wi-Fi. Dandridge Fire is one of the busiest fire departments in Jefferson County running over 600 call per year and that is without running First Responder. Dandridge Fire covers 100 square miles of Jefferson County. That includes all of Interstate 40 and one mile of Interstate 81 through Jefferson Co. 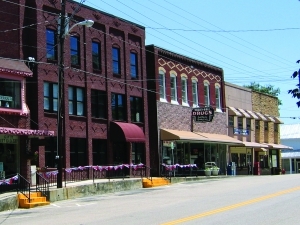 Visitors to Dandridge are always impressed with the historic preservation and the quaintness of the town. 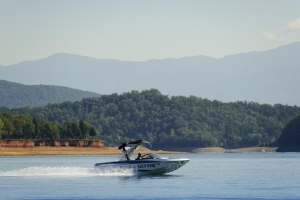 Restaurants and shops line the downtown streets and the lake makes recreation a viable option for family vacations. Guided walking tours of the historic district can be arranged for groups by contacting the Visitor’s Center at (865) 397-7420 ext. 16. The annual Music on the Town concert series is held on Thursday nights beginning in September. Each year we strive to provide the best entertainment groups around to this concert series for Free, just bring your lawn chair! The concerts are held behind Town Hall at our Performance Pavilion or in at the Field of Dreams Activity Center in case of rain. Visit our website at www.musiconthetown.com or follow us on Facebook for all the latest information. 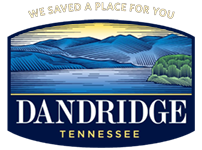 Dandridge was founded around 1783 when the settlers came across the Appalachian Mountains moving west. It remained a quaint agriculture setting due to the fertile lands along the French Broad River. When TVA began construction of Douglas Dam to generate electrical power, many of these farms are now covered by the waters of the Douglas Lake Reservoir. The Town of Dandridge would not be in existence today were it not for a group of citizens who went to Washington, DC and lobbied for a stone and earth dike to keep the waters of the reservoir from flooding the town.